A Philosophy and Literature graduate of the University of Barcelona, Francesc has established his career in the field of biomechanics, accessibility, ergonomics and Design for All/Universal Design, a concept which has been disseminated throughout Europe (through EIDD-Design for All Europe network, of which he was president (1998-2001) and global level as president of the Design for All Foundation. 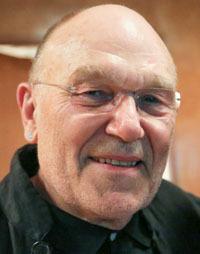 A lecturer on several postgraduate courses as well as a frequent speaker at international conferences, he is author of several publications in the field of Design for All, for instance the European Concept for Accessibility Technical Assistance Manual (2003 edition), and Universal Design: The HUMBLES Method for User-Centered Business (December 2011) or Destinations for All (2017). He is also Chief Executive and owner of ProASolutions SL, an architectural, engineering and design consultancy firm based in Barcelona which specializes in accessibility, mobility, sustainability, usability and Design for All being consultant in Spain, Singapore, Dubai and Turkey among other countries. He was also founder of the company's Portuguese counterpart in Porto. He was responsible for urban accessibility, transport, and assistive technologies at Barcelona City Council during the construction of the facilities for the 1992 Olympic Games. 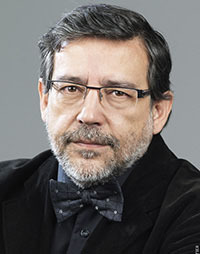 Patron of the Barcelona Centre de Disseny (BCD) (Barcelona Design Centre), and Councilor of IAUD.